Anyways, my first full post was on BLTF on Broadway. Okay, this was a bit of new and old because I had visited the original location on Main before. 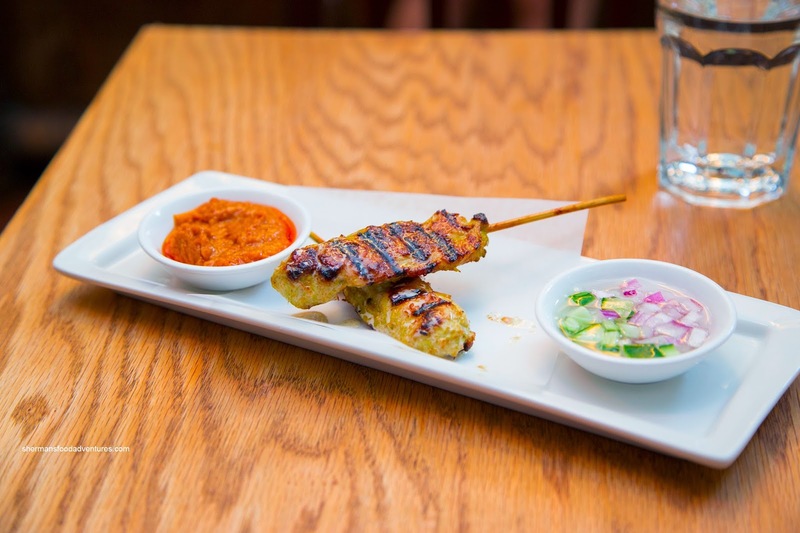 We started with the Chicken Satay which was well-charred and fairly moist for white meat. It wasn't too spicy, yet did have some background heat. The side of peanut sauce was impactful with a combination of flavours including sweet, salty, spicy and aromatic coconut milk. 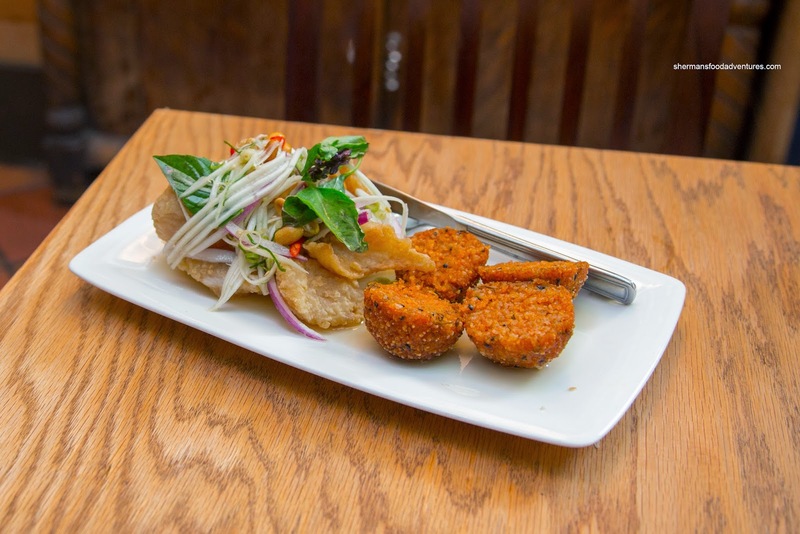 Something quite interesting Bob's Fish & Chips featuring deep fried fish mixed with lemongrass, Asian water olives, red onion, green papaya, basil and peanuts served with fried rice balls of red curry paste, lime leaf and black sesame seeds. The crispy thin fillets were surprisingly moist and flaky. Vinegary and spicy with a touch of sweetness, the salad mixed in with the fish added all the flavour the dish needed. We found the rice balls to be crunchy while firm and dense inside. 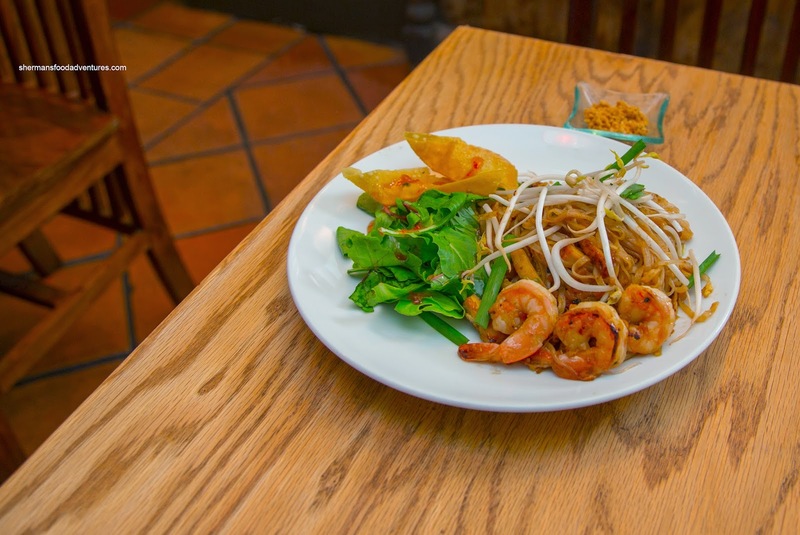 We also got an order of the Pad Thai consisting of fried rice noodles with prawns, smoked tofu, pickled turnip, peanuts, egg, bean sprouts and chives, yet most importantly, tamarind. Hence, the flavours were tart with accenting spice and sweetness. There was definitely good wok heat where the noodles were dry (possibly a bit too dry) and toothsoome. We found the egg overly salty and the prawns were a little overdone. 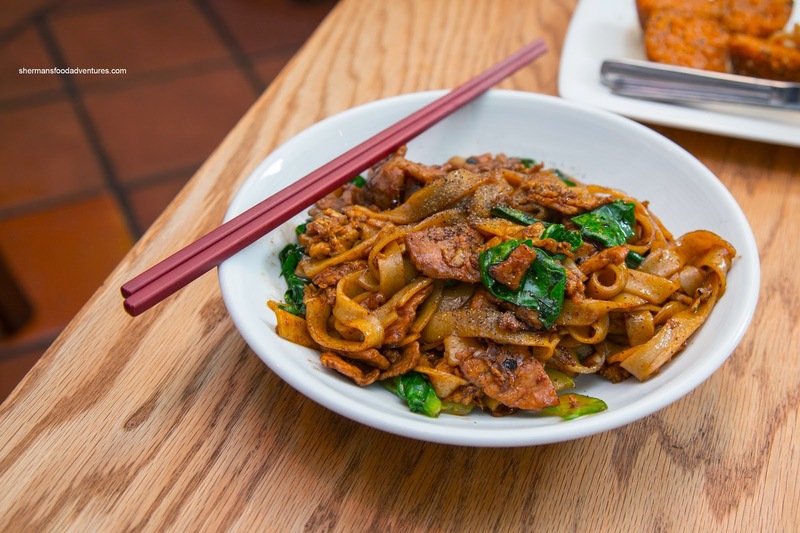 For the kiddies, we got them a plate of Pad Si-Ew with fried rice noodle with gai lan, egg, pork and a liberal dusting of pepper on top. As illustrated in the picture, the dish was appetizing to look at and equally good to eat as well. A combination of good wok heat (hence caramelization), enough soy and pepper made this even more enjoyable than the Pad Thai. Only thing we would've liked to see was less chewy pork and a touch less salt. 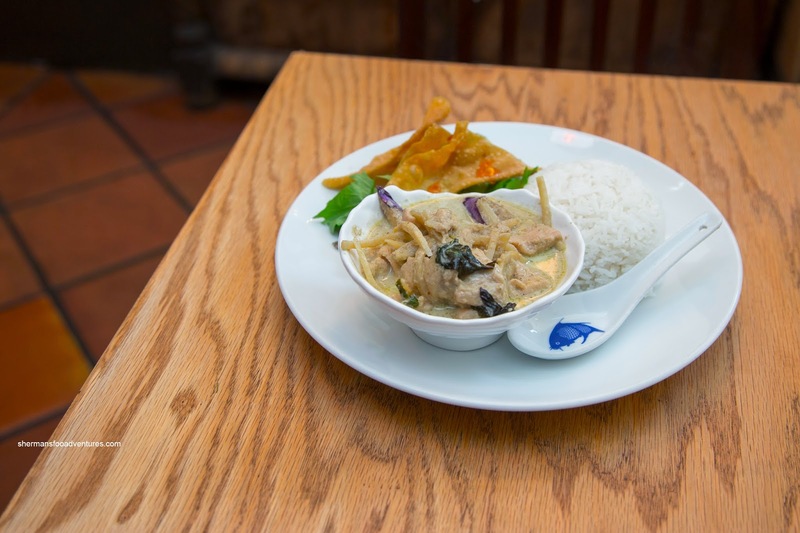 For the curry challenge, we sampled their jazzed up version of Green Chicken Curry (and yes, I plagiarized myself so they might sound familiar). 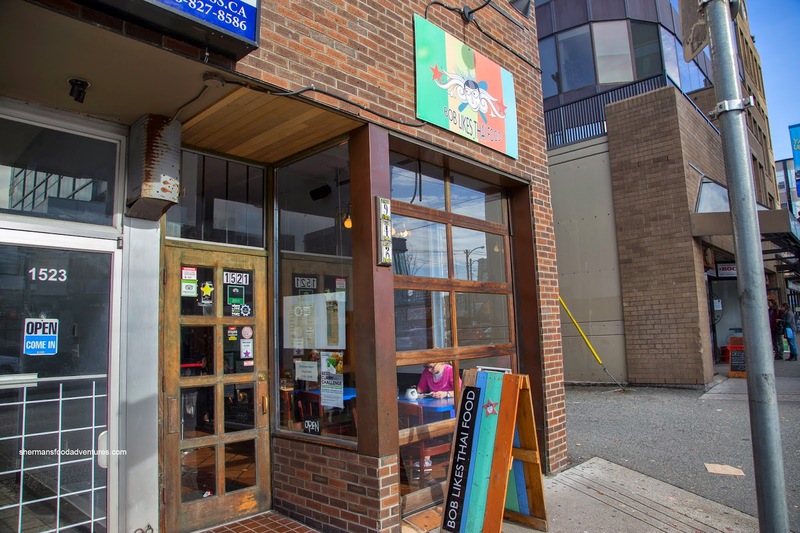 Despite its plain description, the dish was constructed very differently than the typical version found in Vancouver. 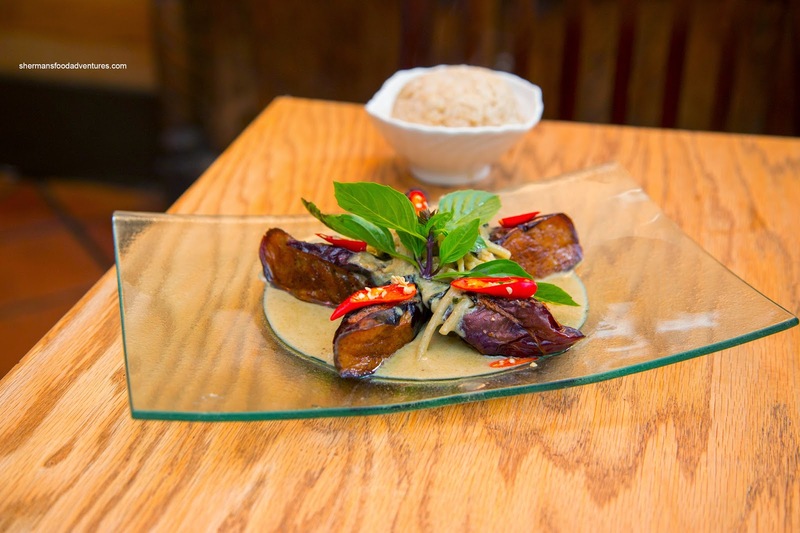 With chicken-stuffed portions of tender fried eggplant topped with hot chili peppers, this was purposefully spicy with the aromatics of coconut milk and saltiness of fish sauce. For curiosity's sake, we got a regular Green Chicken Curry for comparison. Naturally, it wasn't plated as nicely and was remarkably different in taste as well. It wasn't as spicy and was less salty for some reason. It was more aromatic and than impactful. After it was all said and done, we were pleased with our meal at BLTF. We felt the flavours were there, albeit a tad salty.